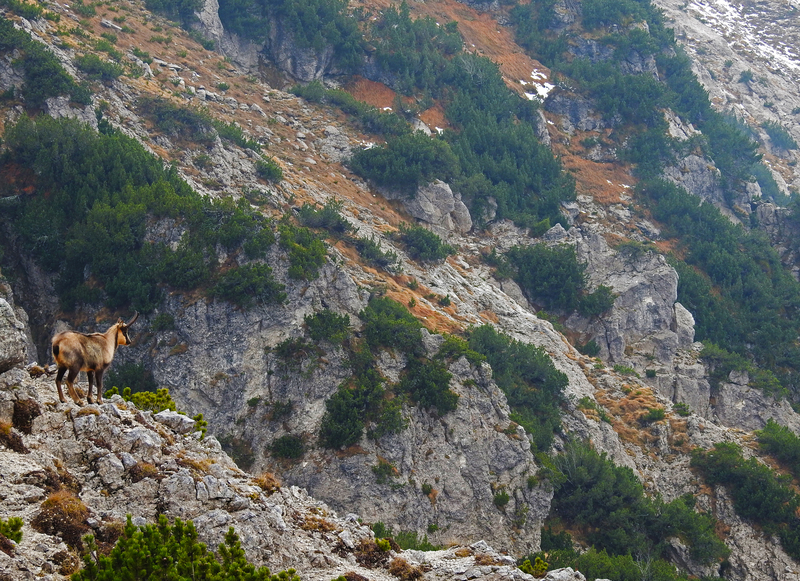 Abruzzo National Park is the oldest park in Italy and was established in 1922 in the Central Apennines. The park offers unspoiled, wild nature, though being only two hours away from Rome and Naples. The park covers three regions: Abruzzo, Lazio, and Molise. It covers an area of about 50,000 hectares, surrounded by 80,000 acres of “pre-park”, a buffer zone that, amongst other functions, aims to protect the park’s wildlife, which often leaves the conventional boundaries of the park itself. Originally, Abruzzo National Park has been founded to save the Marsican brown bear (Ursus arctos marsicanus) and the Apennines Chamois (Rupicapra pyrenaica ornata), but is home to a wide variety of animals that once occupied a much wider range in the Apennines: 67 species of mammals, 230 of birds, 14 of reptiles, 12 of amphibians, 15 of fish, and 4,764 species of insects, including important endemic species. 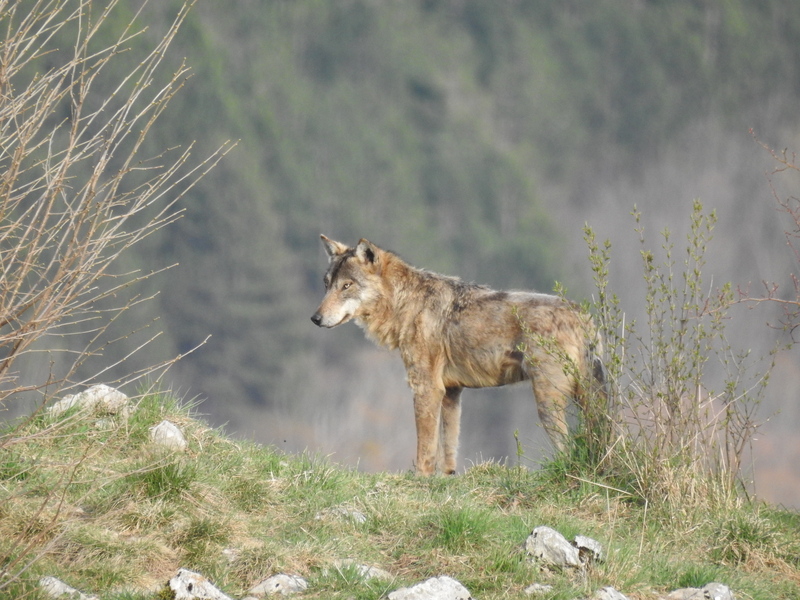 Abruzzo national park today is also known as one of the best examples in Europe for its relatively well-functioning wolf management. Local tourism businesses are benefiting of visitors interested in watching carnivores. Ecotur is a local tour operator, founded in 1989 and continues its work with passion and love towards nature for 30 years. The business idea was to base the company on one of the main pillars on which the Park itself rests: the development of an eco-friendly work, able to combine land conservation and the economic and cultural development of the local people. Ecotur’s activities cover hiking, trekking, travel education, environmental awareness campaigns, photography and nature photography. They manage a CEA (Center for Environmental Education) and have a small shop selling local and organic Abruzzo products, as well as an information center in Pescasseroli, which is one of the most visited in the park. 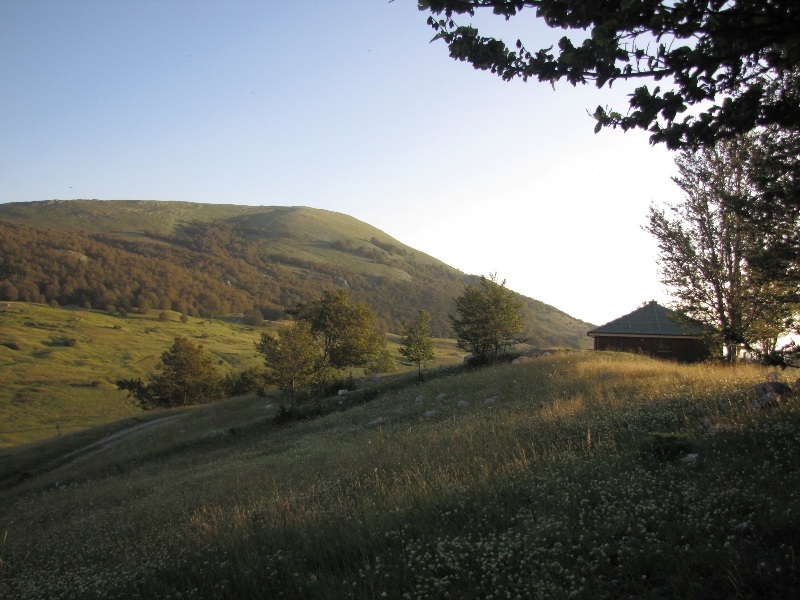 Ecotur also manages a cabin called “Ecorifugio della Cicerana”, being the most famous spot for wildlife observation (bear watching) in the park. We think that the activities carried out by Ecotur are important for the conservation policies of nature from many points of view: above all economic and cultural. In the first case, we believe that the national parks, especially in a country as anthropized as Italy, have the possibility of working in the best way only if they can establish a profitable coexistence with the local populations, who live in the areas concerned for years. Ecotur, therefore, is a small example of how a park can generate eco-sustainable work, involving local youths who would otherwise be forced to emigrate or even look for jobs that have little to do with nature conservation (construction, ski slopes, etc.). In the second case, the activities carried out by Ecotur are useful to the park from the educational/cultural point of view, because we are the main scientific communicators of the work that the park carries out in our territory. We are also directly involved in environmental education projects for national and local schools. Numerous initiatives could be undertaken to improve the link between tourism and nature conservation. In particular, we believe that dialogue with institutions is fundamental, in order to create new projects and resolve the difficulties that arise from time to time in the best possible way. 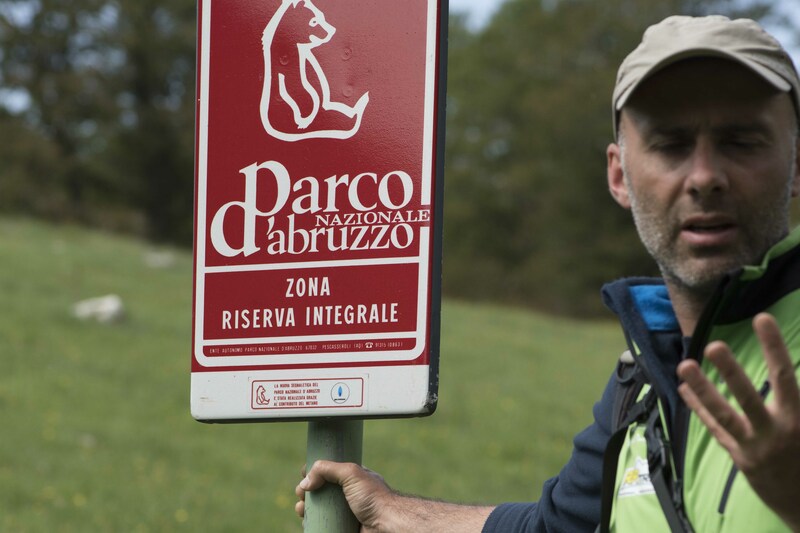 We believe that the model of the Abruzzo National Park has much to learn, but also a lot to give to other similar realities scattered around the world. In particular, we are interested in spreading our model of coexistence with large carnivores (wolf and bear), which is unique in all of Western Europe. In this park, over the centuries we have managed to establish a relationship of coexistence with these large animals, so as to guarantee their conservation. Today, in Western Europe (France, Germany, etc. ), some predators are finally returning and we are witnessing a process of rewilding of excessively anthropized territories. We think that our model can be “exported” to other places in Europe.